Our visit to a vanilla plantation, is a good example for one of our ad hoc projects. We never know where and when they pop up. This time it was the owner of a plantation, who was in need of some good pictures for his explanation charts. We took the chance, spent a few hours of work and (hopefully) made his day. The vanilla plantation is right next to the ancient suspension bridge, which is built over de la Rivière de l'Est. It's located between Saint-Rose and Saint-Benoit. It's really easy to find: if the bridge is on your right-hand side, the plantation is directly on your left. But don't expect any fancy signs. Farming is a rough business, so you will have to scream out loud, if nobody is there. At least, this is what the sign says. If you already decided to see Réunion Island, you definitely have to see a vanilla plantation or at any rate taste real vanilla. It's so yummy and intense! Just at the thought of real vanilla my mouth waters already. 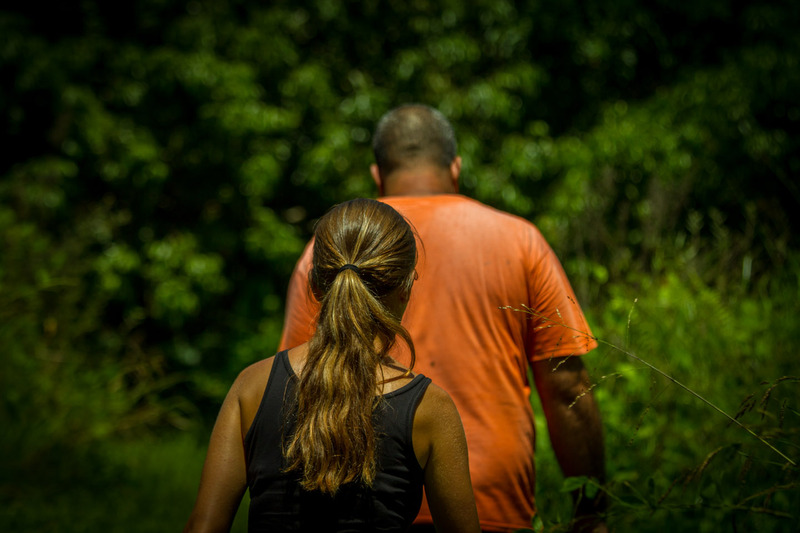 But if you should have enough time to visit a plantation, we can definitely recommend you the vanilla-explanation-trail of this charming farmer and his wife. With a fee of just 5 € per person, you will get a good impression of what it means to grow vanilla and everything else your heart just desires. The farmer will entertain you with a richness of tastes and flavors until you will feel lightheaded. At least I felt that way after the trail. 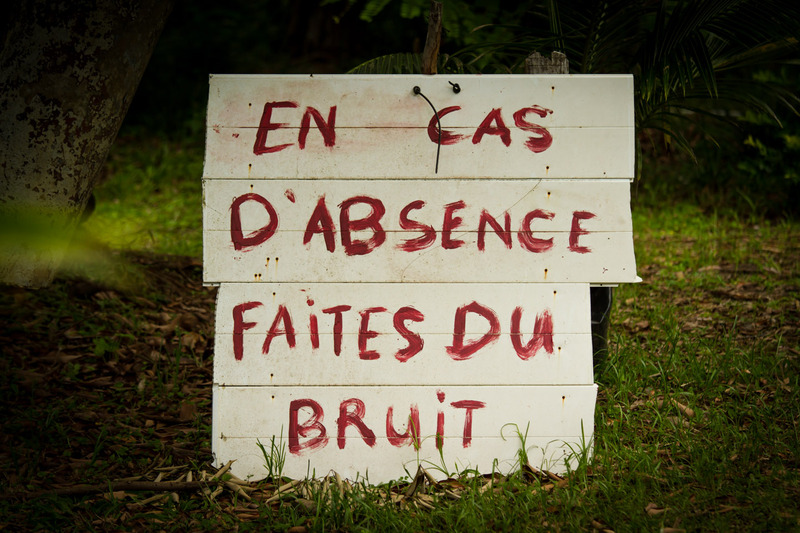 The queen of all spices isn't domestic in la Réunion, even though the island was called ile Bourbon - island of Bourbon. Originally it comes from Mexico and Central America and was first brought to Réunion in 1822. 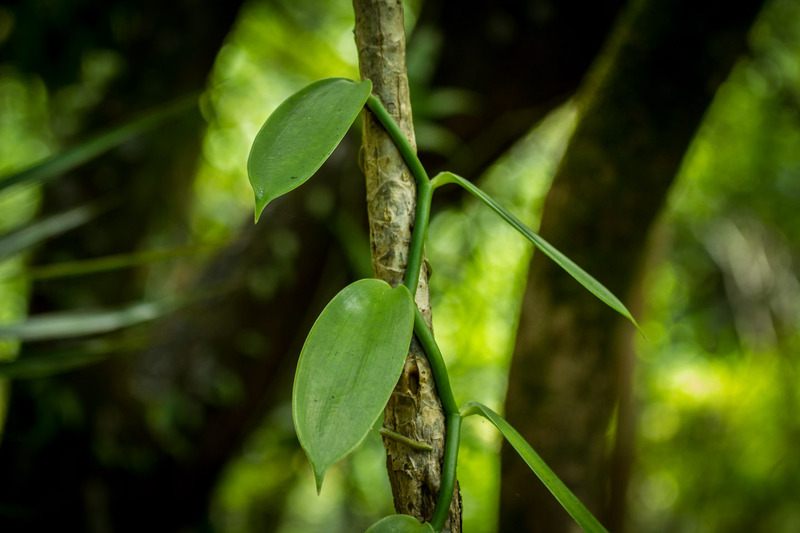 Vanilla has a variety of 110 kinds, of which only 15 deliver the specific flavor. 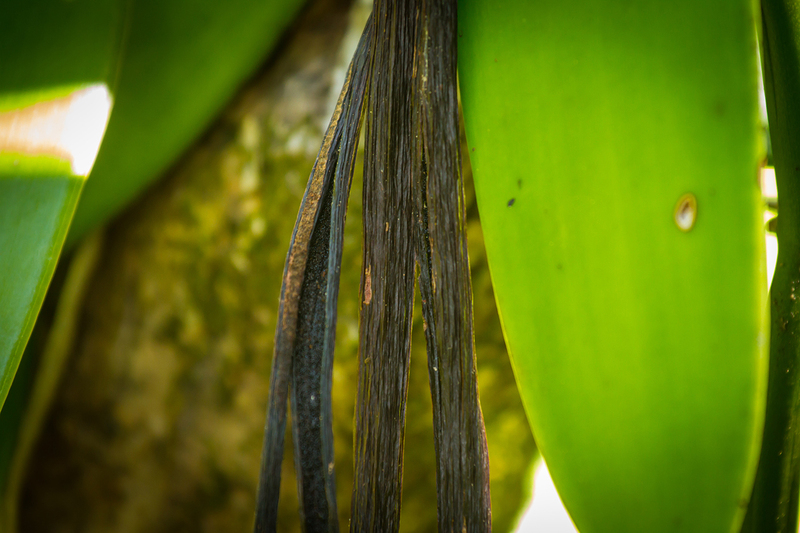 To get out the desired aroma of a vanilla, means a bunch of work and time. 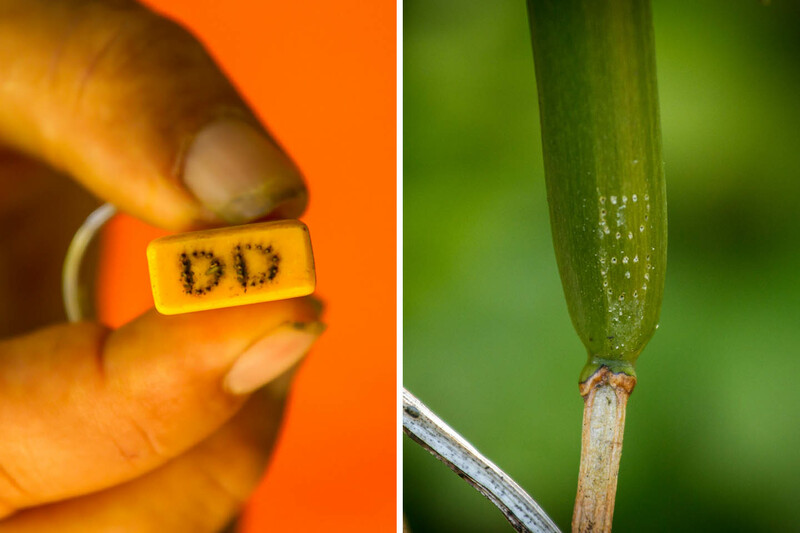 No wonder, nowadays farmers tend to mark their own vanilla pods with a stamp showing their initials, to minimize the risk of stealing. 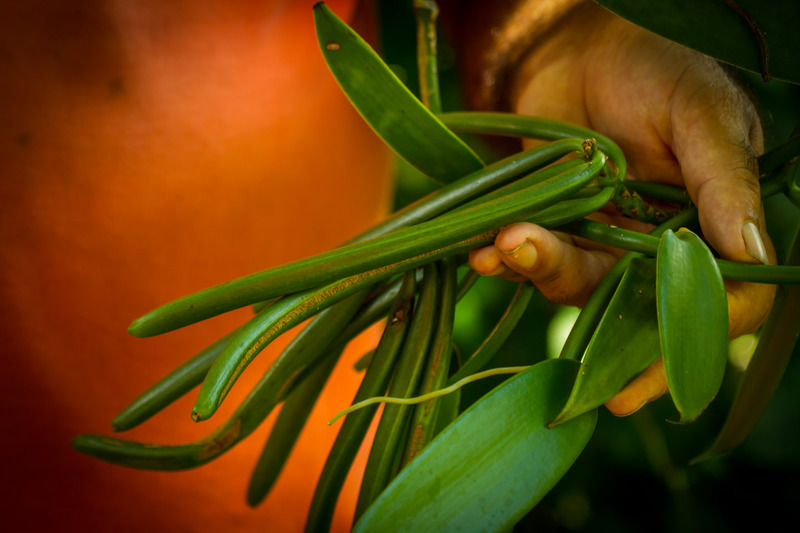 When it comes to the harvest, it's getting even harder: you can't pick all the delicious vanilla pots. The farmer has to leave a few hanging, otherwise the plant is going to die. This is the flower of a passion fruit. 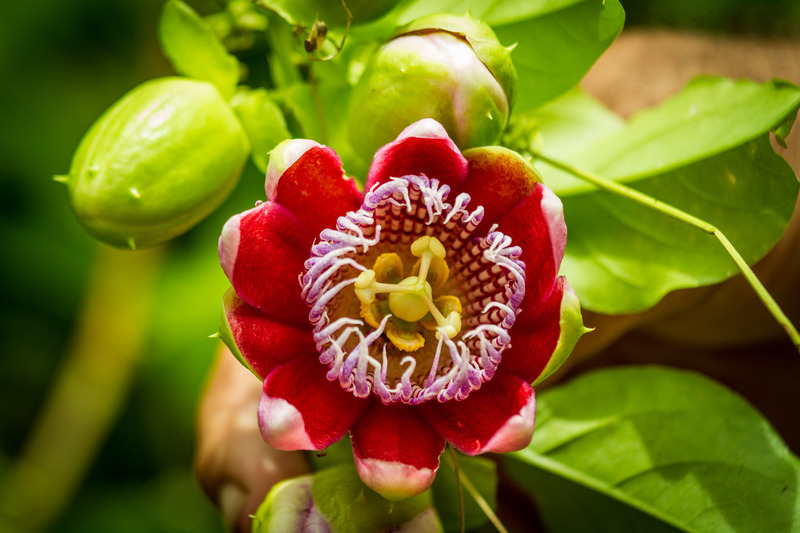 You might not believe it, but there are over 530 different kinds of the passion flowers, also known as Passiflora. Any idea what this is? If you have seen a banana plant before, you may recognize its flower. On Réunion Island as in many other asian countries, it is a very popular ingredient in different dishes. The Réunionnais habitants call the banana flower baba-figue. The most common dish with this flower in the creole kitchen is cari baba-figue, usually cocked with meat or fish. 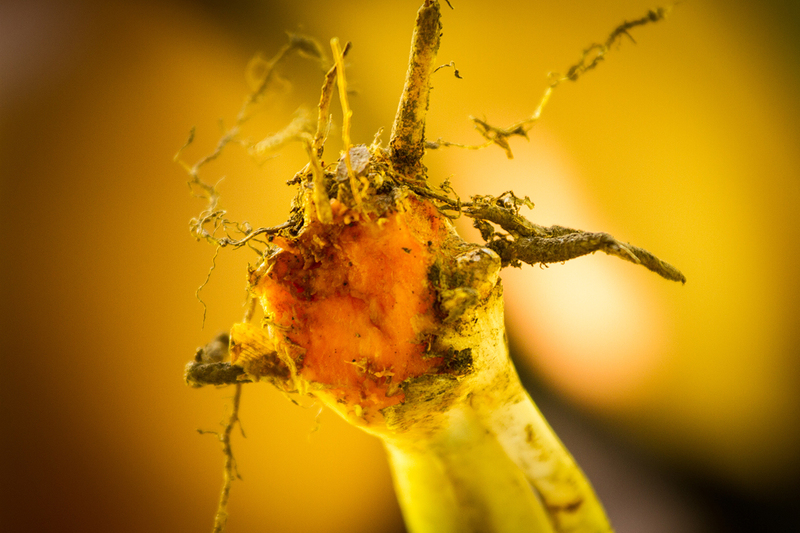 On our trail through the farmers plantation, we have seen a lot of plants for the very first time, like this curcuma root. 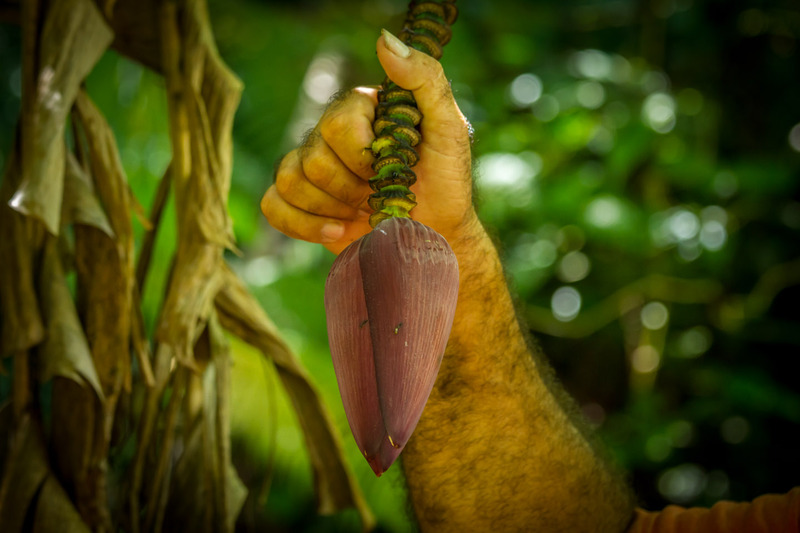 If you are not a biologist, you will surely discover a lot of new spices, fruits and plants. A lot of plants are essential ingredients in medicine. 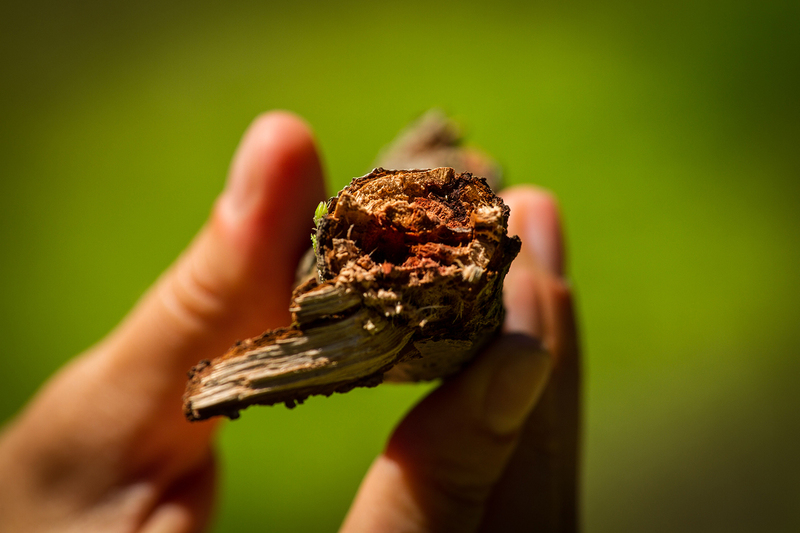 The oil that is found in the bark and the resin of the camphor tree is used in Tiger Balm. Beside that camphor is also a component of fireworks and some other explosive goods. 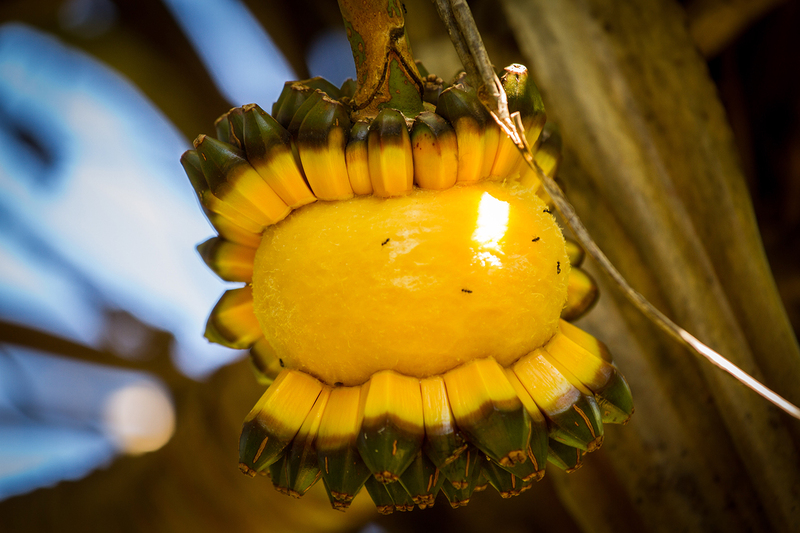 In jam, beignets or creole dishes, the réunionnais habitants like to use the pinpin fruit of a vacoa pandanus tree. This exotic fruit is domestic in regions of the Indian Ocean. 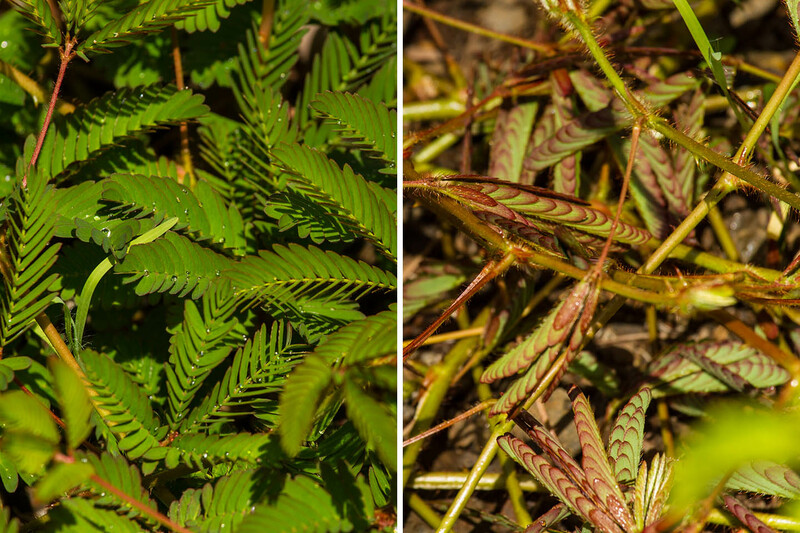 The shrinking effect of a violet mimosa plant is very impressive and lasts about one hour. The mimosa doesn't only react on contact, also vibrancy, injury, changings in light intensity and air movements are causing the shrinking. 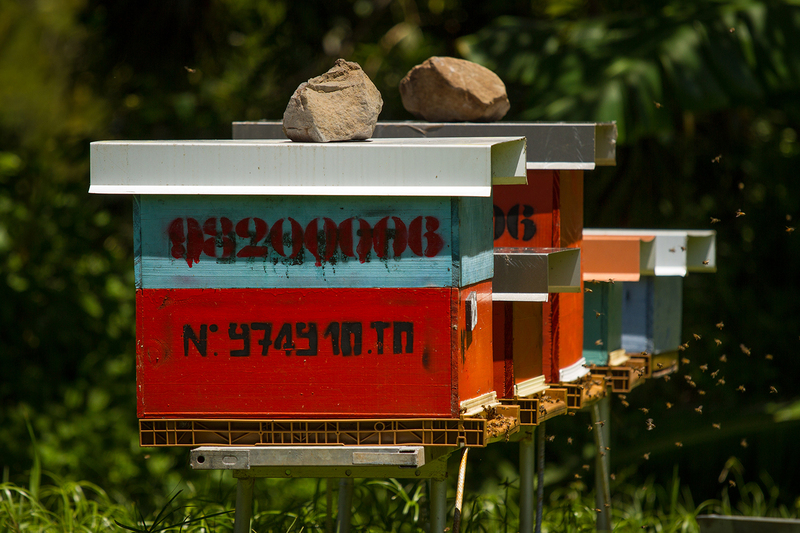 Beside the plantation and the small touristic guidances, the farmer is also keeping bees for his honey production to finance the living of his familly. After one and a half hour, our trail finished with a lot of impressions. 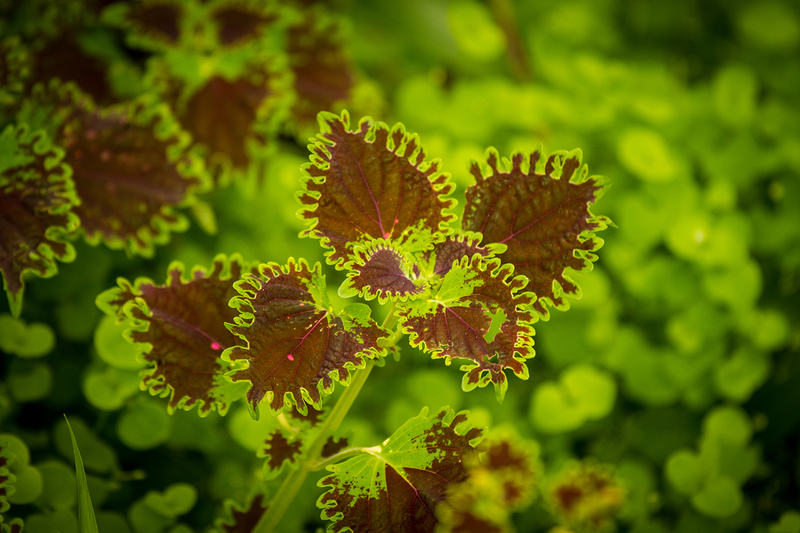 Some plants remained unmemorizable to us, like the green leafs on the picture. If you know what it is, drop us a note. We would be more than happy to redo the whole tour and can really recommend it to everyone. Maybe on our next visit, we will already see the pictures we took for the new explanation charts. This article just shows a small selection of our work, so you can be full of anticipation.